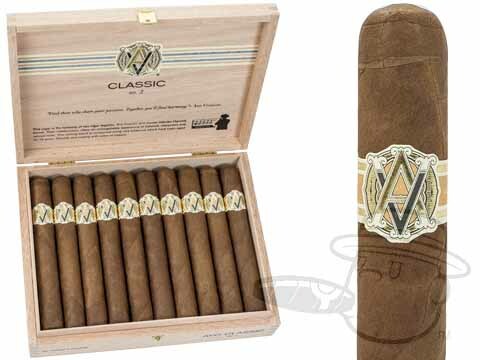 Avo cigars were born when accomplished jazz pianist Avo Uvezian was overcharged for an after-dinner Cuban cigar back in 1983. It was only a matter of time before he claimed his spot in the premium cigar business. 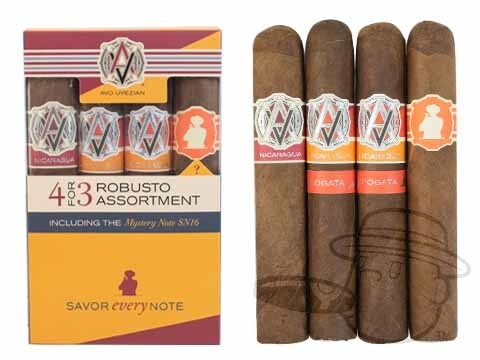 Since the founding of the brand in 1987, Avo cigars have earned high marks from Cigar Aficionado, Smoke Magazine, Robb Report, and many more, and Avo Uvezian has established himself as a true ambassador of the cigar world. 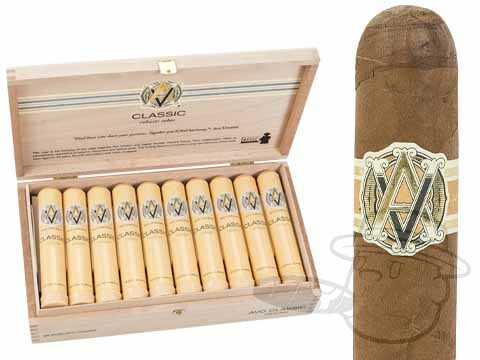 Get your Avo Classic, Maduro, XO, and other Avo cigars at the lowest prices online here at Best Cigar Prices. 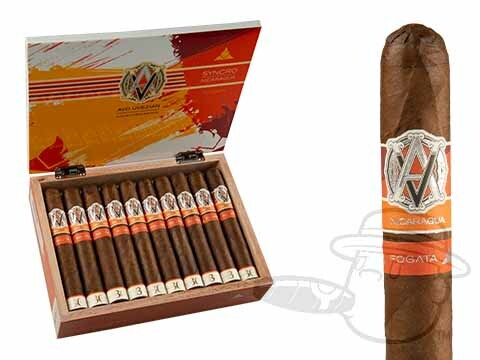 Avo cigars are well-known to those who appreciate a great mellow cigar, but the Avo cigars brand has expanded over the years to include a nice range of strengths and tasting profiles for every smoker. The classic Avo cigars are mellow yet flavorful, and is the very blend that Mr. Uvezian built his family of Avo cigars upon. Using a delicious Connecticut-seed, shade-grown wrapper from Ecuador, the classic Avo cigars are delightfully aromatic and rich in flavor. The blend features Dominican-grown, Cuban-seed Piloto San Vicente, and Olor leaves, which create a distinctly sweet aroma and mellow flavor. 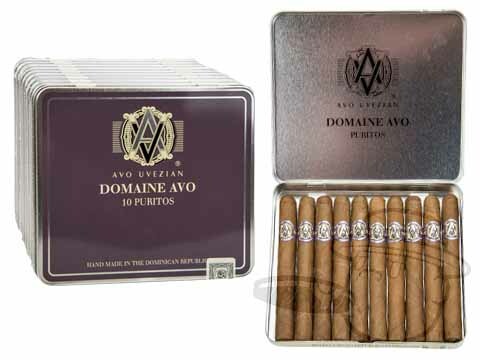 Avo cigars have always been a top seller at Best Cigar Prices, and anyone who is familiar with Avo cigars can attest to the quality inside each box. 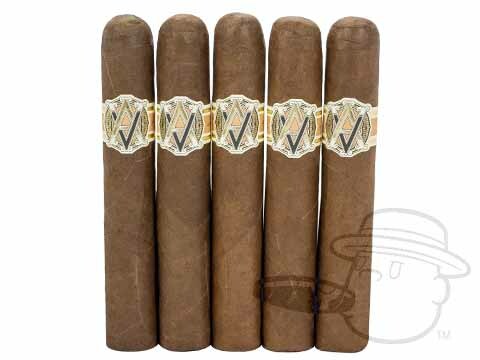 Avo XO was Avo Uvezian’s second line introduced to the Avo cigars portfolio, and with it he referenced many musical terms in the creation of the cigars names. This line features an Ecuadorian Connecticut-seed wrapper, Dominican Olor binder, and Dominican filler leaves, all of which are aged together. These medium-bodied smokes are stronger than the Classic and Maduro Avo cigars, but more mellow than the Domaine and Signature lines. 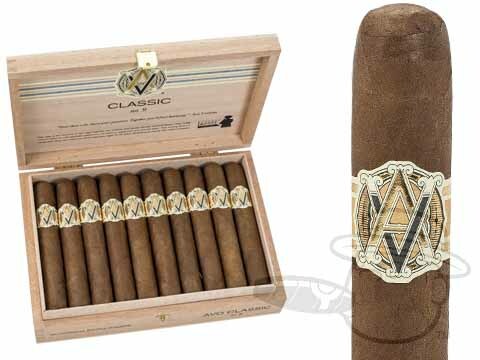 Avo XO cigars come in either cellophane or metal tubes, and are offered in most traditional sizes. 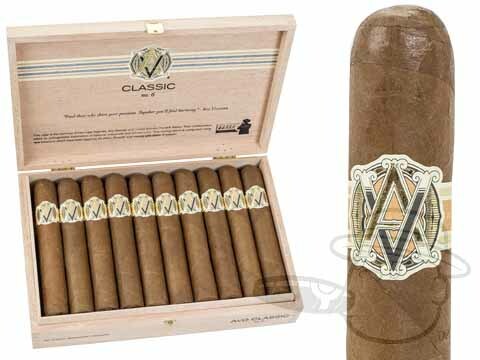 Another of the most popular Avo cigars, the Avo Maduro cigar is the darker-wrapped answer to the Avo Classic, and was blended for those who crave a stronger smoke. 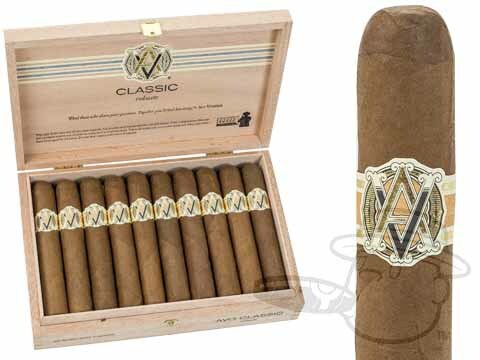 Avo Maduro cigars feature the same smooth flavor that’s found in the Avo Classic, though it is slightly bolder thanks to its Connecticut Broadleaf maduro wrapper. This wrapper is aged for three years, naturally fermented for an additional three months, and then fermented a second time to produce a deep, rich color and one-of-a-kind flavor. While it is more powerful than the Avo Classic, it contains none of the bitterness that often plagues maduro-wrapped cigars. 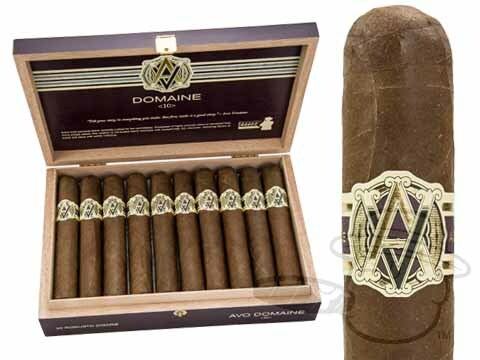 The Avo Domaine cigar is one of the strongest Avo cigars out there, behind the Avo Signature and Heritage lines. 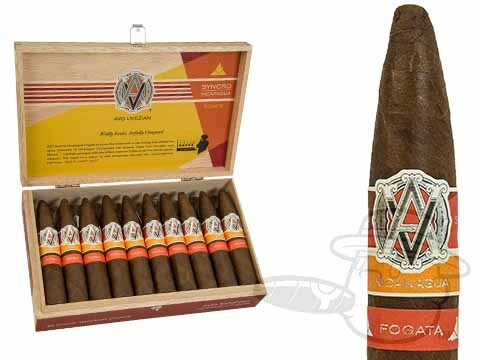 Featuring filler tobacco from Avo Uvezian’s own plantation in the Dominican Republic as well as full-bodied, sun-grown wrapper leaves from Ecuador, the Avo Domaine cigar packs a punch. 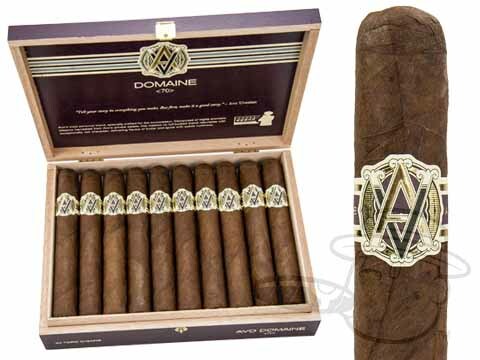 Avo created the Domaine because he wanted a cigar for the seasoned smoker who enjoys bold taste. 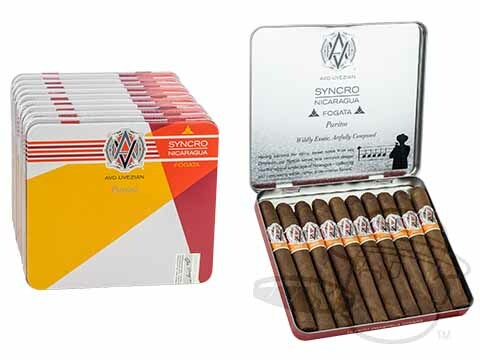 The Avo 787 and Avo Signature cigars are both a bit more rare in comparison to the other Avo cigars. 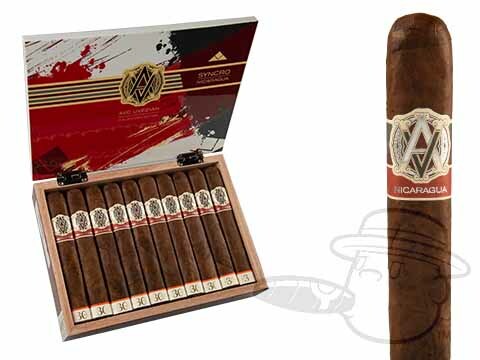 The Avo 787 is a medium-bodied, balanced, and flavorful smoke. With flavors of coffee, dark chocolate, roasted nuts, and spice, those who demand complexity can’t go wrong with an Avo 787. The Avo Signature line was created as a result of the success of the Avo 75th Anniversary. The overwhelming response to this cigar made Avo realize that he had to create a truly bold, full-bodied cigar for the experienced smoker. 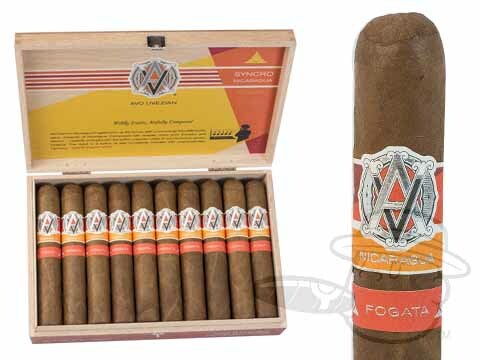 If the Avo Domaine cigar isn’t strong enough for you, we promise the Avo Signature cigar will hit the spot. 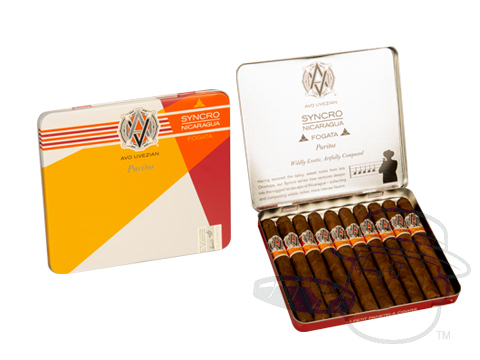 Featuring select aged tobacco from the Dominican Republic as well as an aged, Ecuadorian sun-grown wrapper, this rare and unique blend provides the perfect balance between full-bodied flavor and a perfectly balanced taste. Despite its considerable strength, the Avo Signature somehow manages to be one of the smoothest Avo cigars. In 2010, Avo Uvezian blended the Avo Heritage cigar to pay tribute to the rich culture of cigar production, from seed to leaf to smoke. These are among the strongest Avo cigars, and boast an oily Ecuadorian sun-grown wrapper, along with Dominican ligero and seco and Peruvian seco filler leaves. 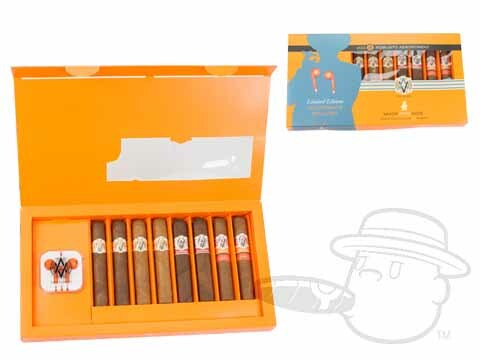 These toasty, powerhouse smokes will impress any lover of potent stogies. 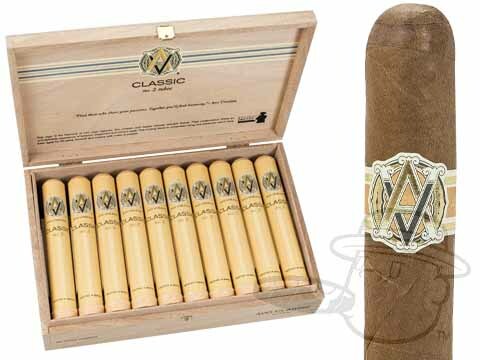 Whether it’s the mellow Avo Classic, the medium-bodied Avo XO, or the full-bodied Avo Heritage, you know you’re getting quality when you buy Avo cigars. 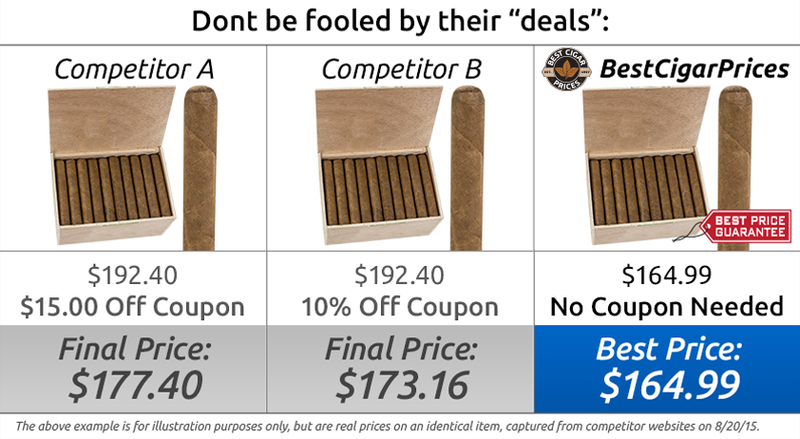 Get your Avo cigars at the lowest prices online right here at Best Cigar Prices.